Can Winterizing Prevent Orlando Sprinkler System Repairs? Can Winterizing Prevent Repairs to Your Sprinkler System? Winters in Orlando are much milder than most other areas of the United States. Average temperatures rarely drop below the high 40s even during the coldest months, and the lowest temperature on record, 18 °F, hasn’t been seen since 1894! However, just because we enjoy a mostly pleasant climate from around November to the end of February, that doesn’t mean you shouldn’t consider winterization of your irrigation system. Sprinkler system repair may be necessary if you don’t adequately winterize your system. If you want to be certain that your sprinklers and pipes are protected, you can talk to the expert Orlando sprinkler installers at Ground Source. What Can Happen if You Don’t Winterize Your Irrigation System? If you’ve never winterized your system before you may not consider it necessary. However, you should avoid becoming complacent with your sprinkler installation. An irrigation system is more than just a convenience – it’s an investment. With the right care, your system could last for up to 60 years. Winterizing helps to protect that investment and avoid any unnecessary excavation and repairs. Sprinkler systems don’t always run level to the ground. Even the best installations can have some dips and peaks, which can lead to water collection in the pipes. Even a small amount of water in a pipe can become a big problem during a cold snap. Freezing will expand the water and damage the pipe, leading to costly Orlando sprinkler system repairs. For most, this problem isn’t likely to happen overnight. Unlike some of the colder states, the damage is more likely to occur over several seasons. Even so, failing to winterize could mean that your perfectly functioning sprinkler system develops a leak in two, three, or even five years. Why take the risk of repairs when you could avoid the situation altogether? It’s not just about the cost. Repairs could mean minor excavation on your yard, or even major work depending on the extent of the damage and the layout of your irrigation network. If you want complete peace of mind, you can talk to the team at Ground Source today. 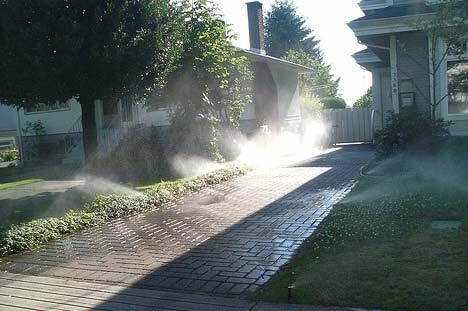 We can perform a full irrigation system blowout to remove any water when you won’t be using the system. We’ll also be able to make a recommendation on whether you need winterization, depending on where your home is located and the layout of your yard. While sprinkler winterization is not always necessary here in Central Florida, it still pays to get an expert assessment. Who Should You Call For Sprinkler Repair Services? Even if you don’t need winterization this year, there are still plenty of other services that we can help with. 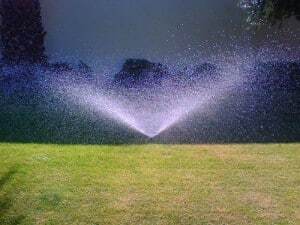 Sprinkler maintenance will ensure that your system continues to provide years of trouble-free use. We’re experts on diverse types of systems, sprinkler automation, and we have a deep understanding of the soil types around Central Florida. This means that we can make the right assessment and perform work quickly when you need sprinkler installation or sprinkler system repair. Our maintenance service offers a complete inspection, replacement of any worn system components or high-risk components, and we can even make modifications to your system to improve its efficiency and ensure that it lasts as long as possible. Additionally, we can install modifications like French Drains. These hidden drains collect groundwater and prevent damage and erosion on your property. Moisture from rain and frost is channeled away from your lawn, pathways, and garden features. Our sprinkler installation professionals are experts at French drain design and installation and can integrate the system into your property so that you’ll never have to see or think about it. You’ll simply enjoy healthy lawns and gardens without wet patches. Sprinkler System Health Assessments From Ground Source. You’re proud of your home, and you’ve worked hard to create a space that is comfortable and beautiful. Why let your investment go to waste by ignoring things like winterization and regular maintenance? At Ground Source we provide full sprinkler system health assessments, routine maintenance, winterization, and any necessary repairs. If you’re simply researching before you make your investment, then we are the team to talk to for complete Orlando sprinkler installation. Contact us today for any of your irrigation needs and experience what it’s like to work with Orlando’s best landscaping professionals.